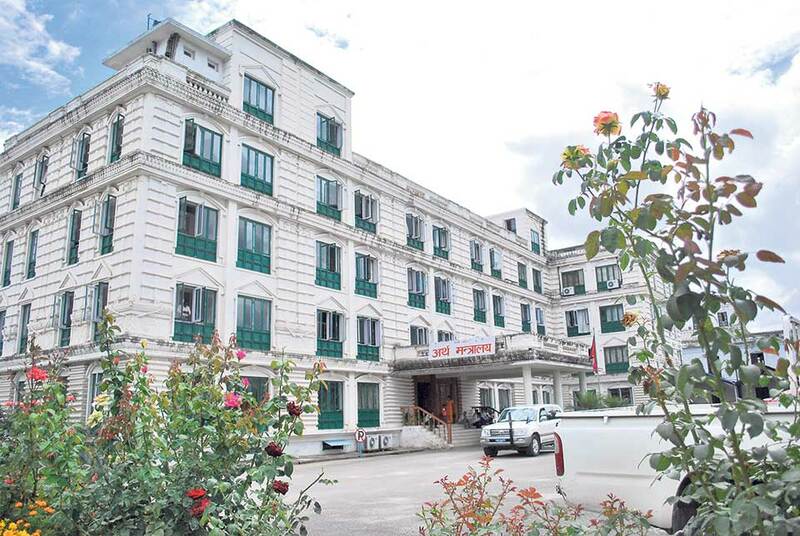 KATHMANDU, Sept 24: The government has yet to start internal borrowing this fiscal year, as it is in a comfortable position having collected revenues in excess of the total government expenditure. Last year, the government had collected Rs 73.78 billion in internal borrowing till mid-August. However, this year, the government has only endorsed a borrowing calendar to raise funds through different banks and financial institutions. According to the official, the government's revenue collection exceeds its expenses, so there is no need to raise money through internal borrowing yet. Till mid-September of the current Fiscal Year 2018/19, the government has collected Rs 120 billion from revenue, whereas its total expenses till this period is Rs 103 billion. The total budget for the current fiscal year is Rs 1315 billion, with Rs 845 billion in recurrent expense and Rs 313 billion in capital expenses. Similarly, Rs 155 billion has been allocated for financial management. The budget source has mentioned that Rs 831 billion will be collected from revenues and Rs 58.81 billion will be collected from foreign aid. The budget deficit except for revenue and foreign aid is Rs 425 billion. For this, the government has targeted to borrow Rs 253 billion from foreign loans. Likewise, the government has targeted to borrow Rs 172 billion from internal borrowing. In the previous year, the government had raised almost the targeted amount from internal borrowing, which was Rs 145 billion. In the previous year, the government had to allocate budget for local units. Revenue collection was then affected as the devastating floods in the tarai region destroyed bridges and roads connecting India and Nepal, halting imports and disturbing transportation. Customs offices at major border points Biratnagar, Birgunj, and Bhairahawa were affected by the floods. The government borrows internally via Treasury Bill, Citizen Saving Bond, Development Bond, Foreign Employment Bonds, Special Bond, and similar other instruments. According to the statistics provided by the Office of Auditor General, the government owes Rs 391 billion as of internal borrowing till mid-July, 2018.